To order: Select a table top, table leg and floor receptacle. Size: 6-5/8" Dia.Color: Receptacle-Flu..
To order: Select a table top, table leg and floor receptacle. Size: 20" Dia. 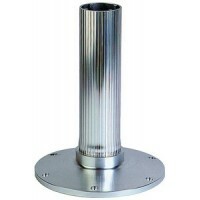 x 27" HColor: IvoryDesc..
To order: Select a table top, table leg and floor receptacle. Size: 6-1/2" Dia.Color: Receptacle-Sur..
To order: Select a table top, table leg and floor receptacle. 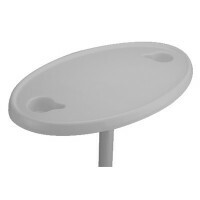 Size: 16" L x 28" WColor: IvoryDescrip..
To order: Select a table top, table leg and floor receptacle. 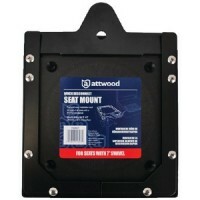 Size: 2" x 26"Color: LegDescription: .. 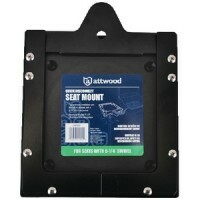 Mounts to deck surface for base attachment, allows base and seat to be removed. Machined anodized al..